14.08.08, As a business, we are always listening to Buyers and Sellers so that we can do our best to serve you better, so I was delighted to be invited last week to be a guest speaker at realestate.com.au’s national strategic planning conference in Melbourne, so that they could learn more about what life was like “at the coal face” of the real estate industry. 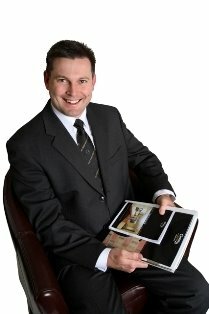 It’s not everyday that one of the country’s most well know and respected companies calls to ask for your advise, but I was delighted to be able to assist realestate.com.au, the premier real estate portal in Australia, to improve their operations and hopefully deliver an even better service to you, the Buyers and Sellers in the market place. CENTURY 21 has also recently signed a long term agreement with the preeminent real estate data supplier, RP Data, who have now expanded their service to provide consumers with online access to property data right around the country. Check out the new myrp.com.au site, where you’ll be able to access detailed information about property, and also access some terrific tools for tracking your property portfolio, in much the same way that you do with shares. As president of the Kenmore and District Chamber of Commerce, I was recently elected to the Main Roads Department’s Kenmore Bypass Community Reference Group (KBCRG), to provide community input on plans for the Kenmore Bypass. The KBCRG has already met once, and will continue to do so on a regular basis until a final recommendation is made to the Government for the tract of land they own between Moggill Road and the Centenary Freeway. So, if you have any queries about Real Estate; the tools that are available for your due diligence; local business; or plans for the future of our suburbs, please feel free to call me or my expert team any time and we will be glad to help you make a Smart Move. Until next week….